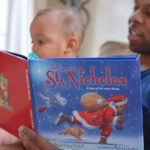 There’s more to a picture book than the thirty-two colorful pages it contains. There’s also the story behind the creation of that picture book. What inspired the author to write it? And what does the author hope readers will take away from the story? 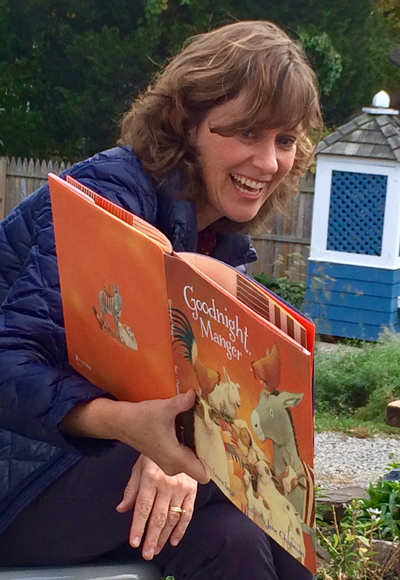 Thank you, Lauren, for inviting me to share with your readers today a little about the spark that led me to write Goodnight, Manger. 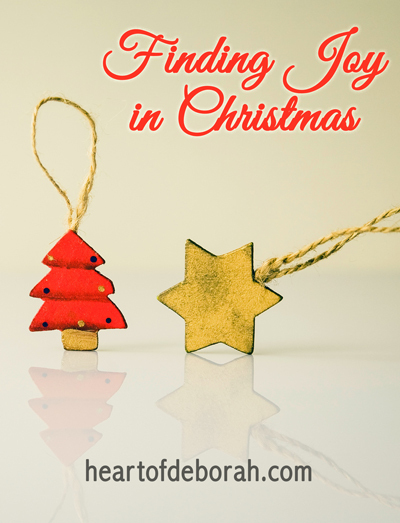 I hope my post will inspire your readers to share the joy of Christmas with their little ones. I was not born into a believing family. When I was very young I can remember Christmases where Christ was not even a part of the celebration. We were more about the magic of Santa and the Christmas tree. 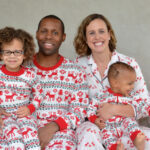 That all changed when a lovely young mother of four from down the street shared the Christmas story with our family through the creation of a very special gift. 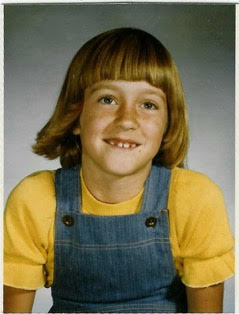 Laura Sassi as a Child. I was just six and my sister was three and the gift was inviting my sister and me to come to her house to create a present for our parents – a cassette recording with us singing and sharing about the meaning of Christmas. I will never forget making that tape and hearing the story and singing about Jesus while her four children – ages 4 – 10 – looked on. That tape, which was our Christmas present to our parents that year, was unlike any other gift under the tree. And what a gift it was! A life-changing gift that opened the door to conversations about faith. It’s how my family met Jesus! Perhaps because of the gift of that story-filled tape, I have for a long time had it on my heart to use my writing as a way point kids towards good and towards God. My desire in writing Goodnight, Manger was to tell a fun Christmas bedtime story that would keep Christ (rather than Santa) as the focus. My version is not meant to be a Biblical retelling, but rather a fun and engaging bedtime story about trying to Baby Jesus to bed in a very noisy and busy stable. It’s meant to be enjoyed and giggled over and read again and again. But, just like that cassette tape from so long ago, my hope is that it might also serve as a humorous reminder for youngest readers (and their parents, too!) that Jesus was once a baby, who cried and felt everything they feel and can thus understand them and their needs at a very personal level. And as such, I hope that it will also be a conversation starter, a prelude to learning more about who this special baby was – so that all may find the true joy of Christmas! Blessings to you and your sweet littles and to all your readers! Merry Christmas! 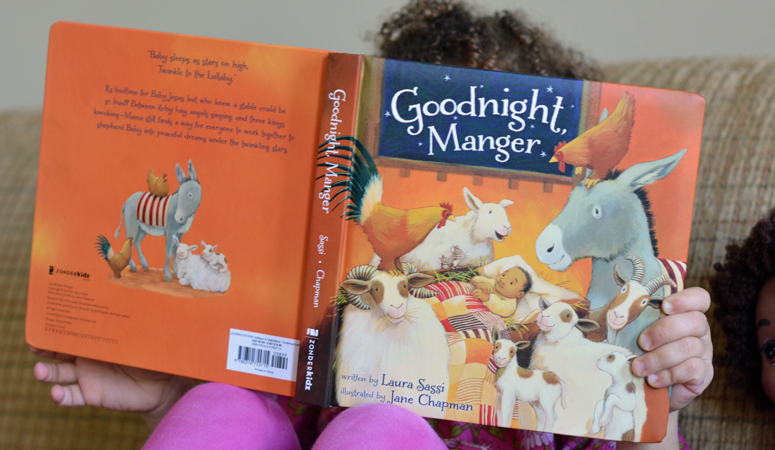 Last, but not least Zonderkidz is offering one fresh off the press copy of the new Goodnight, Manger board book to one lucky winner! To be eligible, you must be a U.S. resident and have a physical address, not a P.O. Box. Disclosure: All giveaways are free of charge, no purchase necessary to win. Giveaways are not affiliated with or endorsed by Facebook, Twitter, or Pinterest. Heart of Deborah is not responsible for any prize not fulfilled by the sponsor or damaged during shipping.